Antonina Malna, age 84, gets cared for by a local nurse, she had a stroke a few months ago and remains in a comatose state while her daughter Zoya watches. The nearest hospital is 25 km away and cannot afford to provide 24h care for patients like Antonina due to the lack of medical staff. 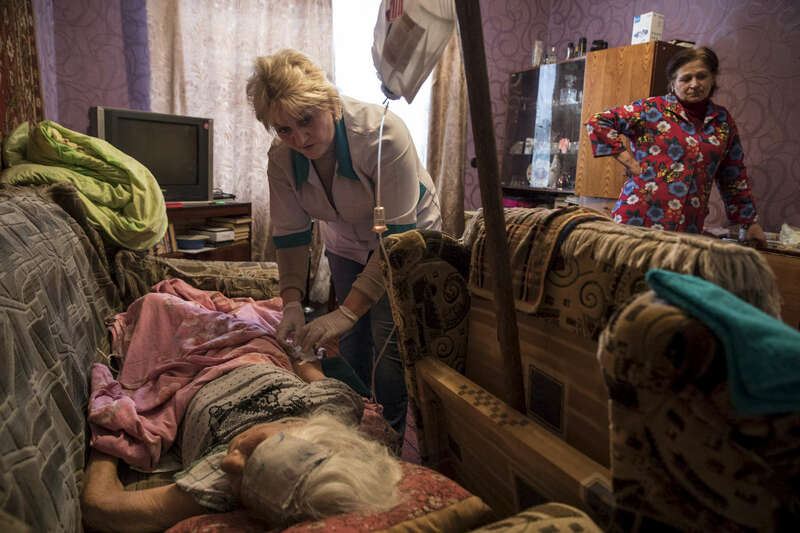 Mayorsk is right on the border area in Eastern Ukraine, a very difficult location for the elderly to be unless they have medical and family support.